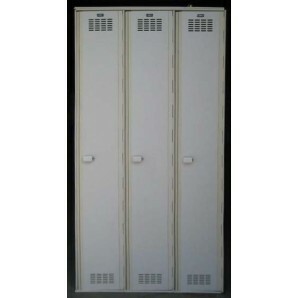 These Cloakroom Lockers are available on www.buyusedlockers.com where they have a huge selection to choose from if we need additional supplies. 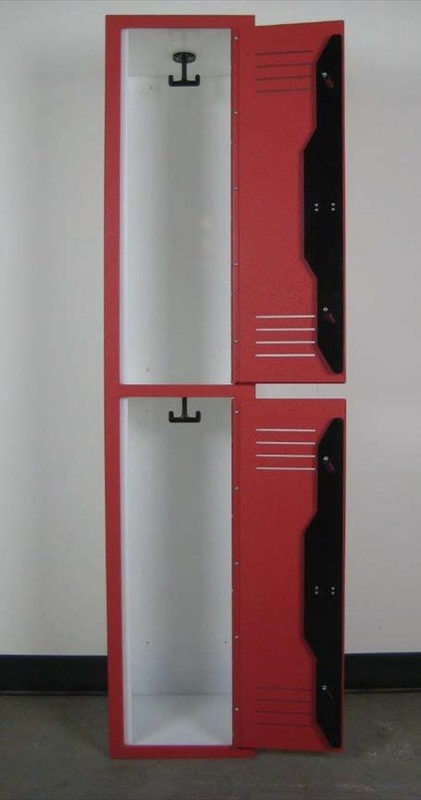 We have several of these brand new solid plastic lockers for sale at a discount due to a few minor scratches and blemishes that occurred during shipping; they have been carefully inspected and are in perfect working condition. 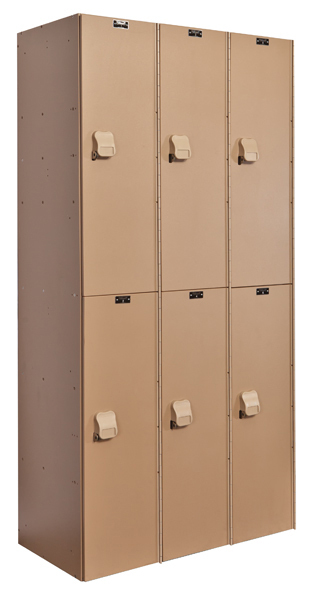 Ideal for indoor or outdoor use, plastic lockers can withstand even the most humid environments such as swimming pools, ice skating rinks, water parks, showers, locker rooms and more. 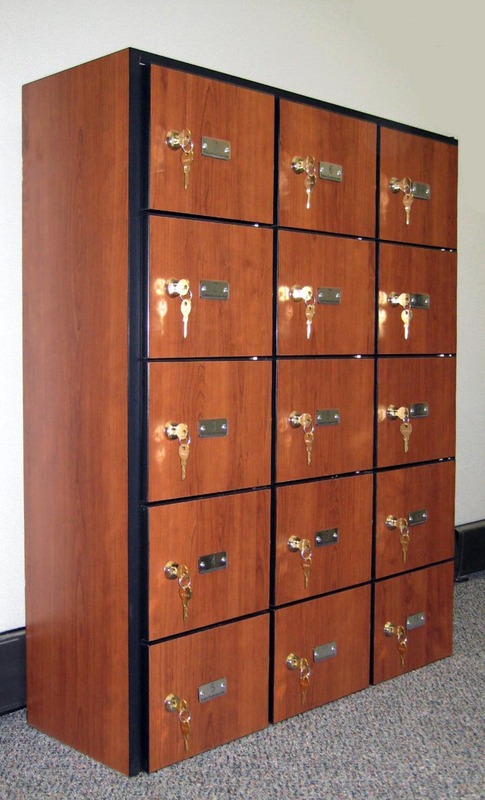 Lockers measure 12” wide x 12” deep x 60” high overall, divided into 2 individual compartments each measuring 30” high. 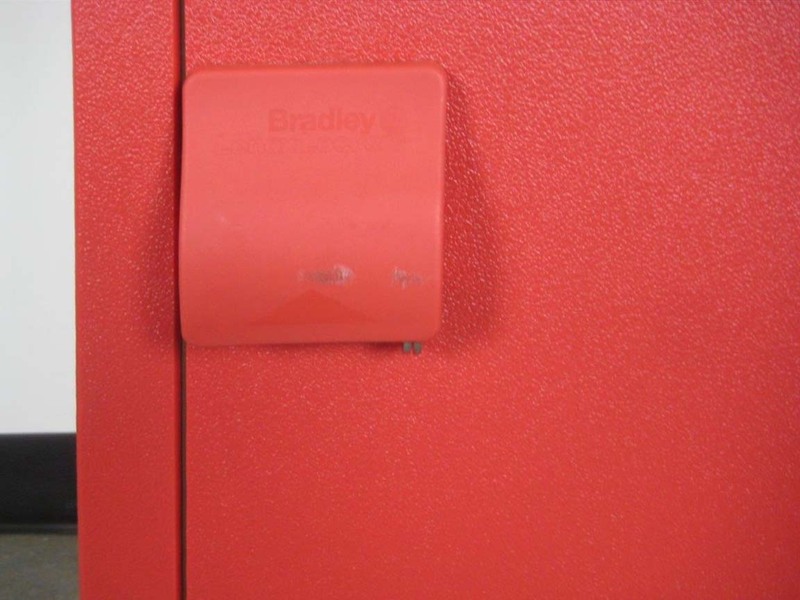 Additional features include bright red doors and frames with white interiors, double coat hooks, louvers to allow for air circulation, and padlock-ready handles. Lockers are fully assembled and ship to you ready to put in place and use as soon as they arrive!